The Legacy Society provides St. Catherine of Siena Catholic Church a vehicle of thanks and recognition to those who have provided an estate or endowment gift to the Parish. These legacy gifts help sustain our parish allowing both us and future generations to enjoy and benefit from the church and its programs and ministries, just as we have benefited from the gifts of those who came before us. Your legacy gifts provide you the certain knowledge that you have helped develop and grow the ministries of St. Catherine of Siena Catholic Church and it qualifies you for membership in the Legacy Society. 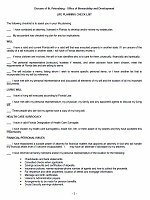 When a person or persons make or designate a legacy gift, they should notify the Pastor using the Legacy Society Commitment Form, available off the main Legacy Page. 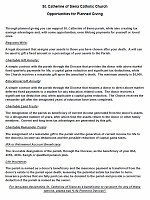 This helps the parish plan and also allows the parish to appropriate express its appreciation for your generosity. 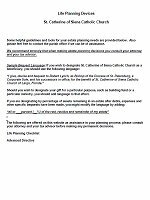 Legacy gifts are a supplemental source of revenue to the parish. Our normal offertory generally funds the operating expenses of the parish along with the upkeep and maintenance of our buildings. But we also support over 40 programs and ministries devoted to faith formation, hospitality, outreach and administration. Legacy gifts are a valuable resource to help the parish maintain and grow these programs and ministries. 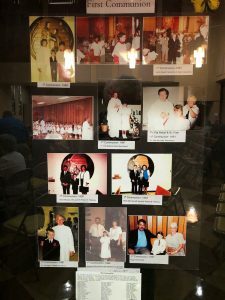 Over the years, St. Catherine of Siena Catholic Church has received upwards of 40 legacy gifts, totaling more than $1,500,000. These gifts have been of incredible value to the parish. We can’t thank those donors enough! 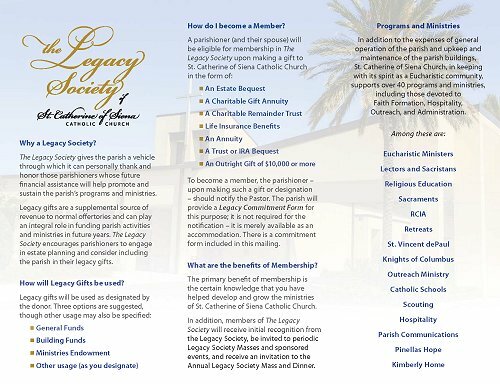 Once you have made a Legacy gift, please complete the Legacy Society Commitment Form below so we can appropriately thank you and welcome you to any Legacy Society sponsored events at the parish. Come and see the new “Window Into Our Past” display in Resurrection Hall! The Legacy Society has created a beautiful display about the history of our parish! 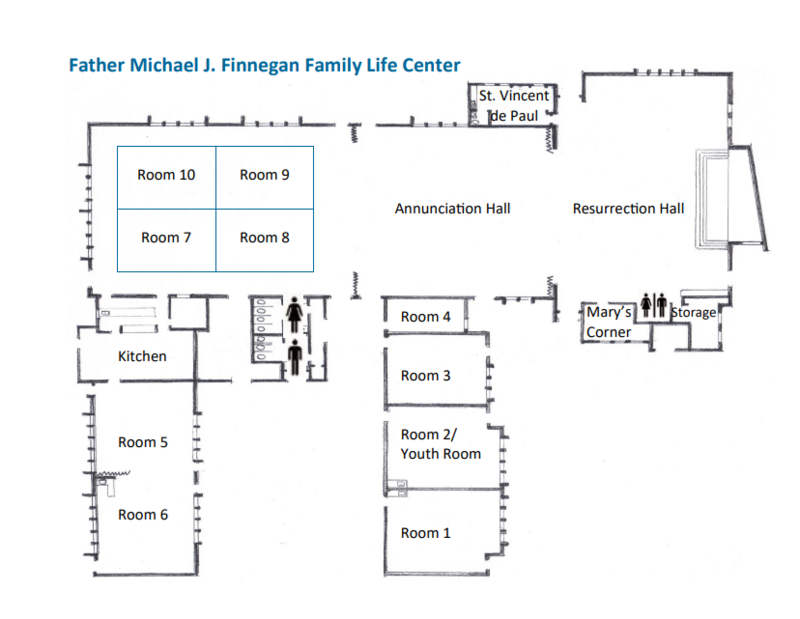 Be sure to stop by Resurrection Hall and learn all about it. The display will change every few months. This quarter we are featuring the first First Holy Communions and Easter from the 1980’s & 1990’s.